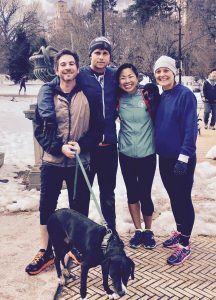 On Sunday, the United Airlines NYC Half ran through Central Park, Times Square and into Lower Manhattan, officially bringing the winter training season in New York to an end. Runners, cheerers and volunteers, anyone who supported training all winter: We made it!! Congratulations to all #RunningRoyalty and #CHRCNegativeSplits! 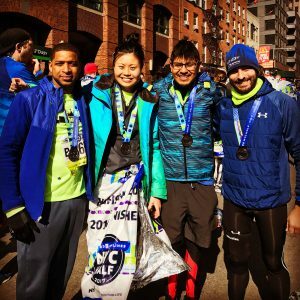 You can guarantee your entry to next year’s NYC Half by running four out of the six races in the NYRR Five-Borough Series and signing up for NYRR membership (by the last qualifying event in the series). Registration is OPEN NOW for the NYRR Queens 10K, the New Balance Bronx 10 Mile, and the NYRR Staten Island Half! Celebrate what makes each borough a unique place to get out and run in. Things are about to get LONG! 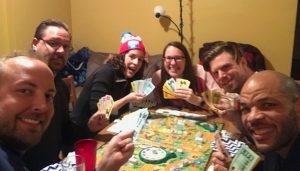 Come out on Saturday March 25th for the Long One with an ending at Priti’s new digs to play some board games. Open to all #RunningRoyalty, new, old, and injured! 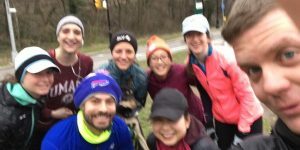 Coming soon in April, a contingent of #CHRCTrails will be running the Breakneck Point Trail Half Marathon and Marathon. In the final weeks of preparation, they will be making a trip up to Beacon on Sunday March 26 for their second practice run. All CHRC members are invited to join in! If you have concerns about what to bring or wear, please don’t hesitate to post on the Facebook event page or contact us by emailing contact@crownheightsrunningclub.nyc. We know you’ve been eager to get the Royal Spring look to run around Brooklyn in and the CHRC design team/ Gear Shoppe owners have been steadily making progress toward a great new line to ensure you look your best for that AirBnB Brooklyn Half (or any other race this summer). SUNDAY APRIL 16 is the tentative date for shoppe opening. You will have 10 days to place your order and select your pick-up date. More details will be available very soon!